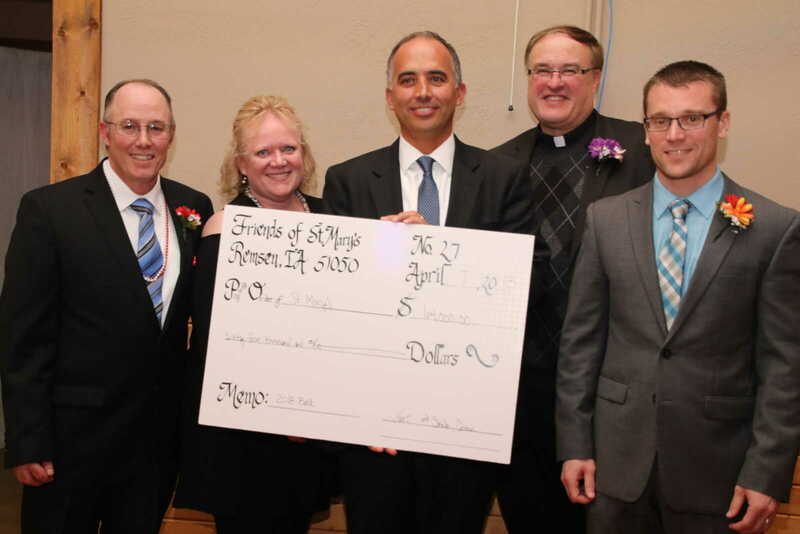 Pictured above from left, Kent & Sheila Cronin, chair couple for the 27th Annual Friends of St. Mary's Ball, joined by St. Mary's School Board president, Greg Schroeder, Father Bill McCarthy, President of St. Mary's Schools, and Mr. Jeff Burkey, preschool through grade twelve principal. The chair couple presented a check for ball profits of $64,000. The Friends of St. Mary's Ball took place on Saturday, April 7, 2018. Read more in next week's edition of the Remsen Bell-Enterprise.